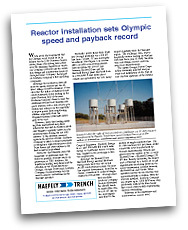 Provide full editorial, production and distribution services for this professional assocation magazine. Work with associate editors for technology-related content, recruit writers for member and community news items. A series of snappy one-page testimonials, emphasizing ease-of-installation and customer service. In-depth technical case histories with engaging leads, drawing prospects into detailed descriptions of the projects' benefits. 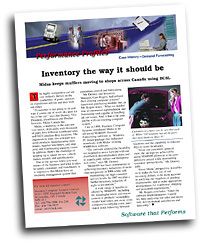 This newsletter was developed for a software distributor's network of Value Added Resellers.